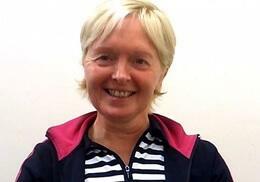 Pilates, Kettle bells and power walking put Susan Hope back on the right track for a healthier lifestyle. 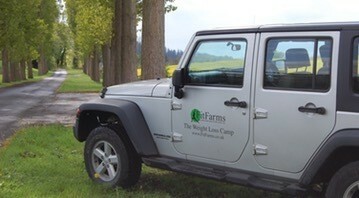 FitFarms is a weight-loss and fitness retreat. It specialises in post-course support, with online access to all of its recipes and a three month personally tailored aftercare programme. Guests stay in cosy cottages with single or shared en suite rooms in the peak district and Exmoor. My Aims: I do yoga once a week and occasionally go to the gym but I hoped the boot camp would motivate me to do more exercise. I also wanted to challenge myself as I knew it would be tough. What I Did: Six hours of hard exercise each day, starting at 6.45am with a wake-up stretching and aerobic workout. This was followed by an activity such as an eight-mile power walk or a 13-mile cycle. Afternoon activities included pilates, boxing, resistance training and kettle bells, which I found tough. Evening sessions of salsa (my favourite) or Zumba followed, and a deep-tissue massage was offered to revive tired limbs. What I Ate: Even on a weight-loss regime of 1,400 to 1,700 calories each day I wasn’t hungry. Regular snacks such as crudites, baked apples or flapjacks were provided to keep blood sugar levels stable. Breakfast was typically porridge, lunch soup and fish and dinner a delicious stir-fry. I loved the variety of the exercise and trying new things such as boxing and kettle bells. The trainers were encouraging not bullying, although everyone on my camp seemed impressively determined. The exercise is hard but you really see the results- after three days I had lost2lb and was feeling full of energy. I get off the tube a stop early everyday on my way to and from work so I have a longer walk and I have started doing a Zumba class. I’ve kept the weight off and try to make better food choices. FitFarms retreats start at £1095 for one week, including accommodation, all meals, transfers from train station and all activities. Tel: 0800 634 3070.